Secret Tricks That all Social Media Users Should Know. Mastering the usage of social media is not just for tech-savvy people. If you are using Whatsapp, Instagram, Facebook, Linkedin, and Snapchat, then these little tidbits will help you make full use of these apps with little effort on your part. 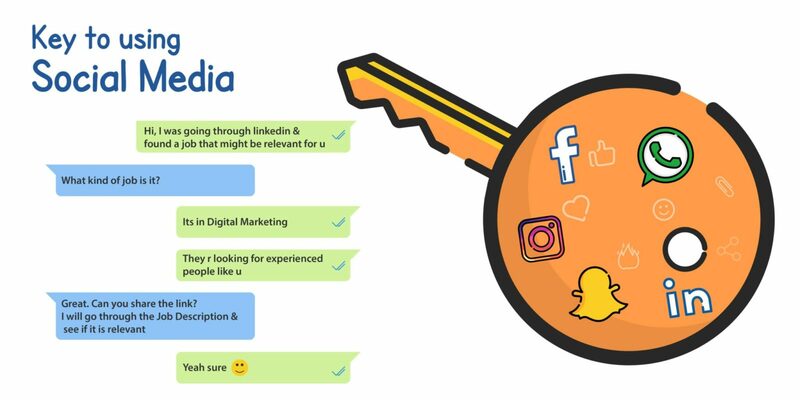 We have studied these 5 mediums and came up with the best tricks that all social media users should know. You can make a group of you and some other person (doesn’t matter who) and then remove that person from the group. Now the group consists just of you. Pin this group so it will always stay on top. Now you can note down all the things you want to remember or note down stuff, or you can copy and paste some information there for future reference. This way you can easily note down all your ideas in one place and conveniently find it when you want it. Sometimes you read a message but you don’t have time to reply to it. So here’s what you can do – (Android) long press on a chat, click on the top right menu and choose “Mark as unread”. The sender will still be able to see the 2 blue ticks as you have already read the message. This way there’s still a notification besides the message reminding you to reply to it when you once again open your WhatsApp. Sometimes you just don’t want the person to know that you have read the messages as it would mean you have to reply. But what if you can read it without setting off the blue ticks. One way to do so would be to turn off the internet, read the message and turn it on. But it would still show the blue ticks once you turn the internet on. So what you can do is – turn on the airplane mode, read the message, go back from the chat, and turn off the airplane mode. After this, the sender will not be able to see the blue ticks but if they long press on the chat and check the info option, they will be able to see that you have read it but it won’t show the time. You can always add the posts to your collection so you can peruse them later at your convenience by clicking on the bookmark option at the bottom-right of every post and review it by going to your profile and clicking on the bookmark option. But what if you forgot to save it or you just remembered a picture that you liked and want to show it your friend right now. You can go to your profile page, click on the top right menu, and choose the option of “Posts You’ve Liked”. This will show you all the posts that you have liked, in the chronological order with recent likes shown first. Apart from deleting the comments on your posts, you can also turn off the commenting by clicking on the post’s top right menu and choosing the option of “Turn off commenting”. You can turn it back on by going to the same option. I don’t know which types of posts would people really turn off commenting but hey, it’s good to know there’s an option. This is the best one so far. Facebook has this system where if someone likes your post from, let’s say 2 years ago, it will be shown again in the top of the news feed of all your followers. So now people who had missed it the 1st time can view it again and hopefully like it if they already haven’t. Knowing this, you can arrange for a few people to like your posts after some time to get it on the top of everyone’s news feed again. It could be good for marketing or just for getting more likes on your profile picture. (Caution – You need to have friends who will have patience to like your picture on your timing just so you can get more likes). Suppose you want to post Digital Marketing Jobs for your company. You should use the title that the relevant candidates are likely to type while looking for this job role. Provide all the relevant details for the candidates – the company website, the job role, and requirements, contact number of the one who is handling this opening, the location of the company, etc. Always put the company logo on the job posting. Attach the link to the LinkedIn page of the company would work in your favour too. When you have already overused certain filters and now would like to try a combination of them to post a snap of you and your “Bae”, you should try this – After taking that picture and choosing your filter, hold a finger on the screen to keep that filter, and now use your other hand to swipe through the other filters. After choosing your second filter, remove the finger that was holding the 1st filter for a second and then press your finger back on the screen to keep both the filters. Continue the same process for the 3rd filter. Unfortunately, that will be the maximum number of filters you can have in a single snap. It is heartbreaking to lose a month-long streak after missing to snap one day. You can go the Support section of the Snapchat website and choose the option of “My Snap Streaks have disappeared”. Here you fill in all the details and let them know the reason. If you claim here that you had internet on and the battery was enough, they look into your problem, get back to you on your email and restore your snap streaks. No need to be violent the next time when your friend “forgets” to send a snap to continue the streak. So these were some of the easiest and useful tricks that you should check out and start using right away. If you know more hacks or have any queries, please leave a comment down below. Thanks for reading the blog. 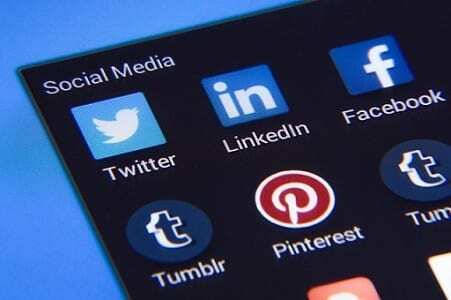 Please share this article with your friends to keep them updated about the social media trends. Maybe this will help calm down your violent friend whose streak you lost. I am Devanshi Mehta – Reader, blogger and a psychologist. Currently working at Aasaanjobs.com. Loves coffee and long walks. that was a bunch helpful tweeks. thank you. Thanks! a lot, Aditya. We will keep publishing such interesting posts in the future too. Stay tuned!